Ohio State men’s basketball coach Chris Holtmann said a couple of weeks ago that he expected to lose at least one assistant coach to a head coaching position this offseason, and that’s exactly what happened on Friday when assistant coach Mike Schrage accepted the head coaching position at Elon University. Elon is a Division I program that plays in the Colonial Athletic Association. Schrage came to Ohio State with Holtmann after being on Holtmann’s staff for one year at Butler. Here is the release on the hire from Elon University. ELON, N.C. – Elon University Director of Athletics Dave Blank announced today the hiring of Mike Schrage as the 18th head men’s basketball coach in program history. 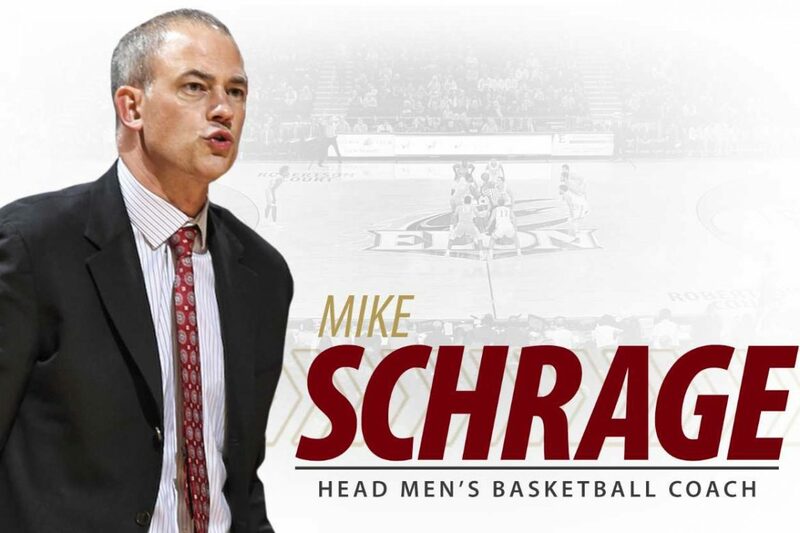 Elon Athletics will introduce Schrage (pronounced “SHRAWG-ee”) to the community at a news conference on Monday, April 8, at 5:30 p.m. in the Robert V. Gill Room at Schar Center. The news conference is open to all members of the Elon community. Schrage joins the Elon men’s basketball program after spending the last two seasons as an assistant coach at Ohio State for head coach Chris Holtmann. He has also worked with two of the best college basketball coaches of all time, spending nine seasons with Mike Krzyzewski at Duke and four seasons at Indiana when Bob Knight led the Hoosiers. In his two years as an assistant at Ohio State, Schrage helped the Buckeyes exceed expectations with two trips to the NCAA Tournament Round of 32. In 2018-19, Ohio State went 20-15 and beat Iowa State in the first round of the Big Dance. The previous season, the Buckeyes posted a stellar 26-9 record and earned a No. 5 seed in the NCAA Tournament, beating South Dakota State in the first round before falling 90-84 to Gonzaga. Schrage was instrumental in helping the Buckeyes sign a top-25 class in 2018 and a top-10 class in 2019. Before going to Ohio State, Schrage spent one season on Holtmann’s staff at Butler in 2016-17. There, he helped the Bulldogs to a 25-9 record and a second-place finish in the BIG EAST while reaching the Sweet 16 for the first time since its 2011 run to the national championship game. Along the way, the fourth-seeded Bulldogs beat Winthrop and Middle Tennessee State before falling to eventual national champion North Carolina. Schrage also helped Butler sign its highest-rated class in program history. Prior to Butler, Schrage spent eight seasons as an assistant coach for Johnny Dawkins at Stanford. During his time with the Cardinal, he helped sign 15 players ranked in the top-100 nationally. Four Stanford players were selected in the NBA Draft after their collegiate careers during Schrage’s time in Palo Alto and five played in the NBA. In Schrage’s eight seasons, the Cardinal appeared in the postseason five times, including a Sweet 16 appearance in 2014. It also won at least 20 games on four occasions. Before going out west with Dawkins, Schrage spent nine seasons at Duke in serving as the director of basketball operations for head coach Mike Krzyzewski from 2002 to 2008 and the program’s academic and recruiting coordinator from 1999 to 2002. Schrage was involved in all aspects of the program’s administration, including scouting, scheduling, camps and planning. In Durham, Schrage was part of Duke’s 2001 national championship run with two Final Fours. While at Duke, Schrage spent time as video coordinator for the USA Basketball Senior National Team at the 2006 World Championship games in Japan and the 2007 Tournament of America in Las Vegas. Schrage graduated from Indiana in 1998 with a degree in Kinesiology and served as a four-year student assistant for then-Hoosiers men’s basketball head coach Bob Knight. After graduation, he spent the 1998-99 season as a director of basketball operations for head coach Rod Barnes at Ole Miss.